The “OOK modulation” or On Off Keying Modulation is very popular now days due to VLC or Visible Light Communication. 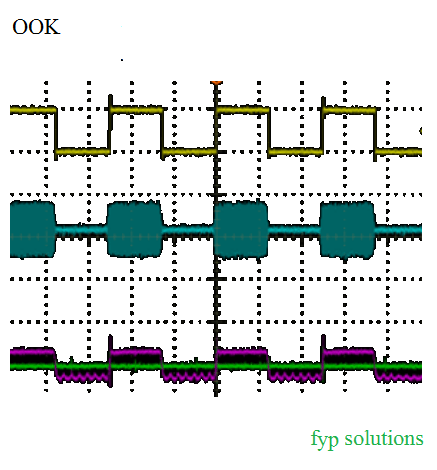 OOK modulation is easy to use and easy to implement. 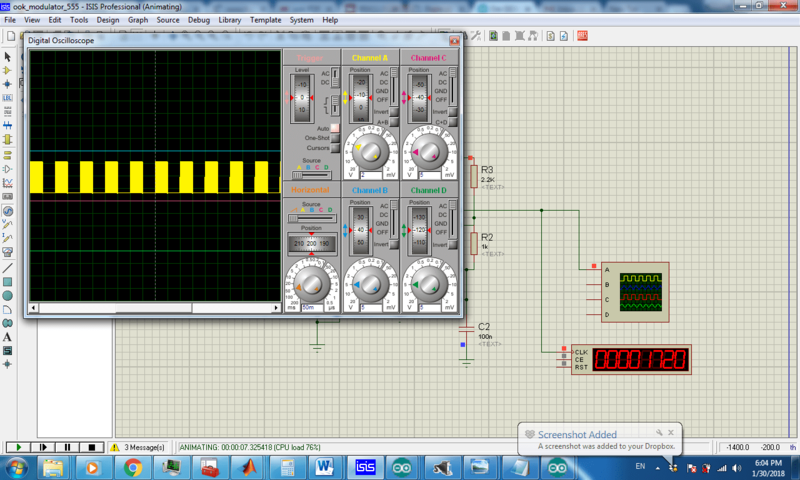 As we can even implement this modulation using simple 555 timer IC. 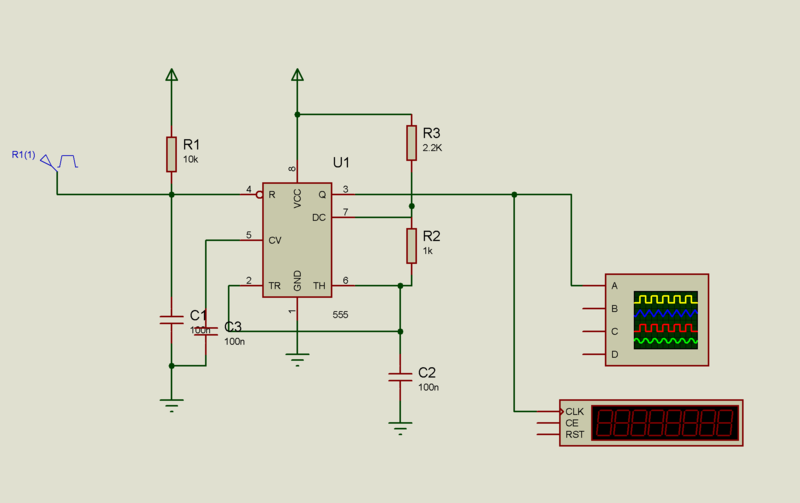 In this post we are going to explain How to implement OOK Modulation using 555 timer IC?. 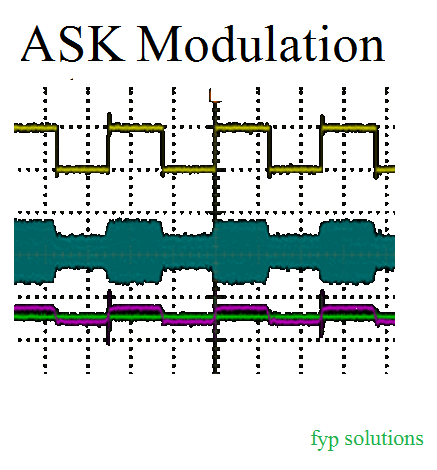 OOK modulation is simplest form of ASK or Amplitude Shift Keying Modulation. Many people confuse these two modulations and try to differentiate between two of them. These two modulations are not different but OOK is a type of ASK. In ASK we modulate the data in amplitude vise as we reduce amplitude in 0 and send full carrier wave when we need to send ‘1’. But in other hand In OOK modulation we only transmit carrier if we want to transmit ‘1’ and when we need to transmit 0 we just simply send ‘0’ and no carrier wave in that time. The very famous research paper about OOK modulation explain this very well. You may see this paper for more detail. To modulate digital data using OOK modulation Technique we need to have a carrier wave and then we need to get dot product of carrier with data bit stream. Once we get these two waveform multiplied the output waveform will be On Off keying Modulated data, which we may transmit using our transmitter circuit.